Our original plan after Palomino was to head back to Santa Marta for a nights and then to Minca for a few nights. After talking with our new friends Nattu and Xanthia, we decided to change our plans and go to a town called Taganga instead. 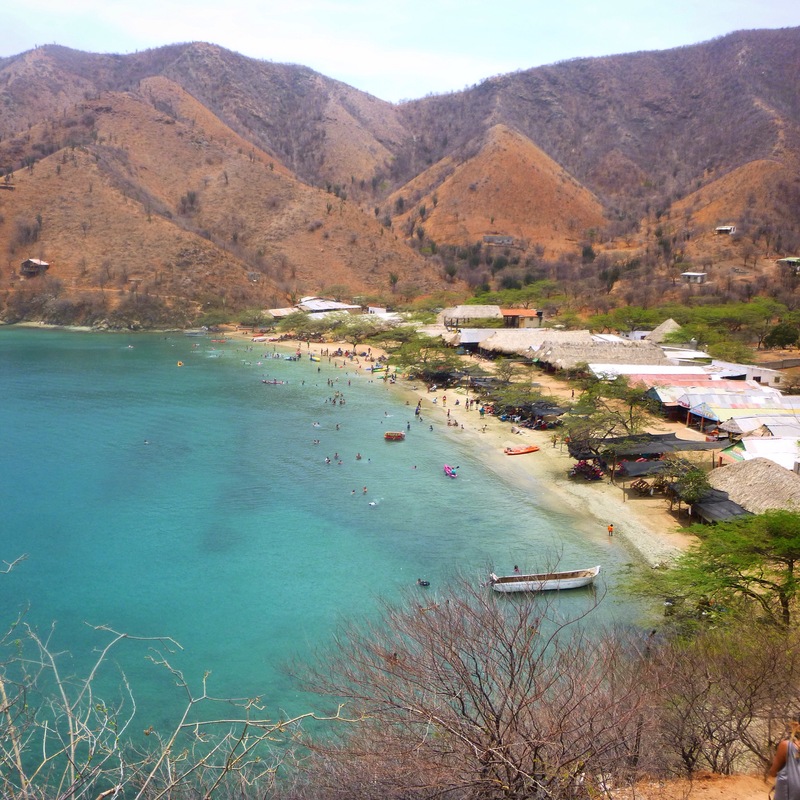 Taganga is a little fishing, beach side town located only 15 minutes away by local bus from Santa Marta. 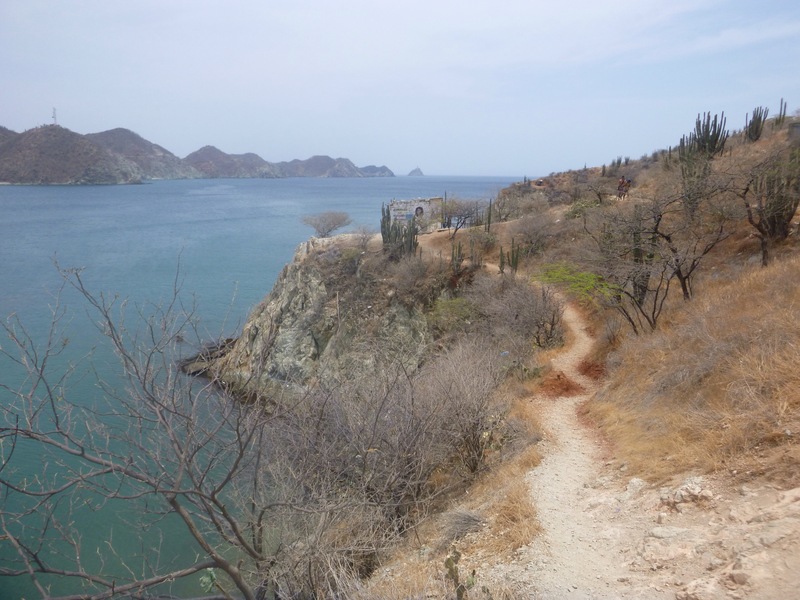 At first, I couldn’t decide whether or not I wanted to go to Taganga. Everyone seemed to have a different opinion about it. Nattu and Xanthia loved it, but another group of people had said that the locals had made them feel unwelcome, there was nothing to do there and four of them had been mugged while walking home at night. In the end, we decided to go and see for ourselves and I’m so glad we did! Taganga to me seems like it hasn’t quite figured out what it wants to be yet. It almost seems like it wasn’t ready for the tourism that hit it. It is a beautiful, all be it dusty, fully functioning fishing town surrounded by beautiful blue waters, dry mountains and cactuses (a stark contrast). I imaged it to be a really touristy place judging by Lonley planet and the amount of people I had met that had been there but I actually found it quite the opposite, I barely saw any other tourists while I was there. I also found it hard to see how other tourists had felt that the locals were not welcoming. They were all so happy, friendly and always up for a chat. One of the best ways I like to find out travel information is through word of mouth, however on this trip I have been noticing that you shouldn’t solely rely on another persons opinion as to whether or not you should visit a place. It is all about the experience you have there that makes a place. If you stay at a bad hostel, you get sick, you don’t meet friendly people or something bad happens to you like getting robbed, chances are those experiences are going to change the way you percieve a place. 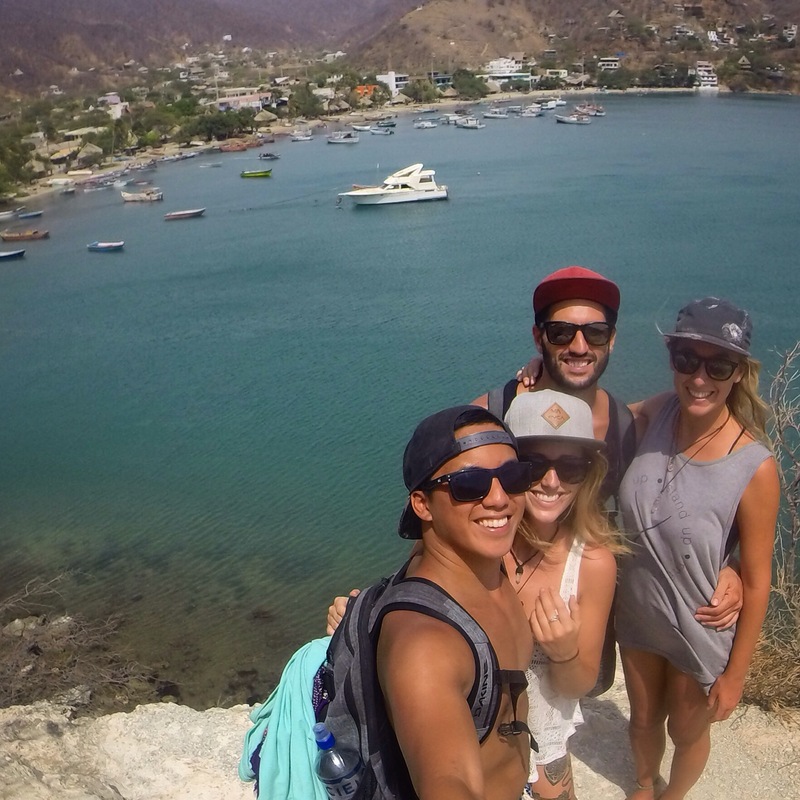 Aswell as friendly people, we also found Taganga to have cheap accomodation and super cheap food. Every night of our three night stay, we went to the same restaurant for their delicious (and massive) bbq chicken with potatoes and salad for $2.50 AUD (I can’t remember the name of it, sorry). You can also get really cheap juices and smoothies on the street for around $2.00 AUD, just be careful if you ask for it with water as one time I saw the lady get water from a bucket instead of the usual purified bags the other ladies use, when I looked in the bucket the water was FILTHY! I’m talking flies floating in it and everything. Gross! If you’re going to get a juice or a smoothie go to Kelly’s, she was the best by far. Located 45 minutes away from Taganga is the mountain town of Minca. We decided to do a day trip here as it is quite small and not much to do there. Alot of people go there to stay at the hostel called Casa Elemento which is located at the top of the mountain and boasts to have the largest hammock in the world. While the hostel sounded cool, traveling to me isn’t about staying in the hostel the whole time. We opted to hike to a waterfall for the day. 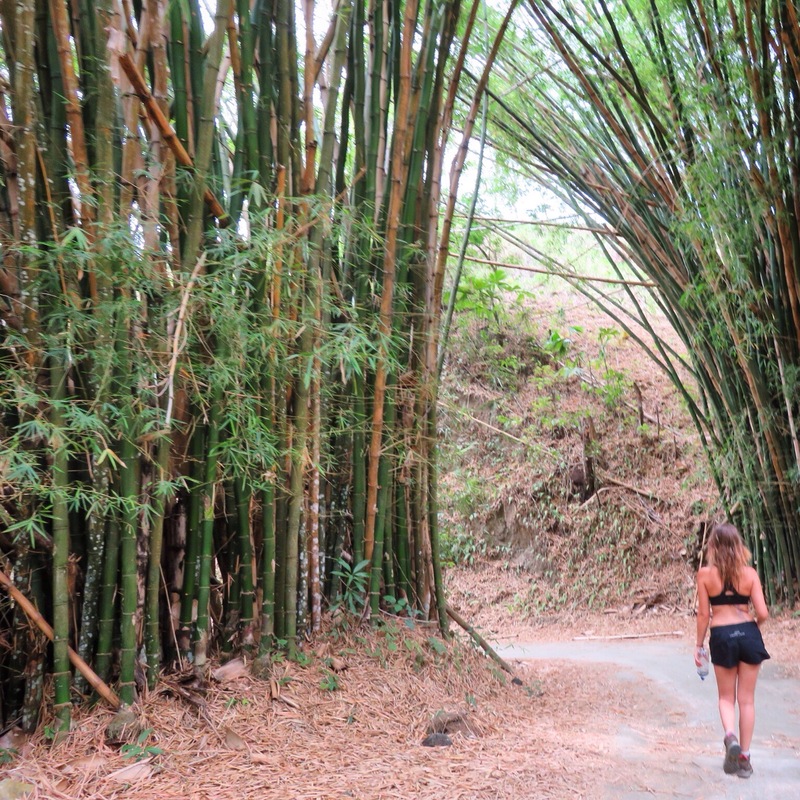 It was so hot and majority of the hike was just up a dirt road, so it was a little boring. There were plenty of mango trees along the way though to provide us with snacks. We somehow missed the turnoff to the waterfall even though there was a sign, so after a slight detour we found our way there. 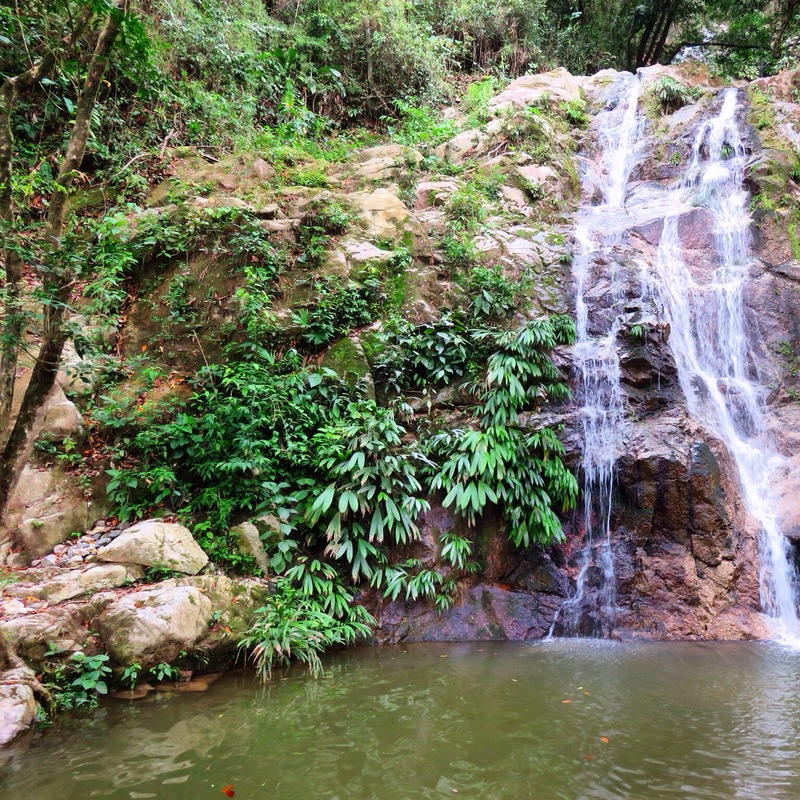 The waterfall was quite small but still beautiful and we enjoyed a refreshing swim there. After the sweaty hike down we hopped in a taxi and headed back to Taganga. I’m so glad we decided to visit Taganga as we thoroughly enjoyed it. The only problems I had with it was the trash everywhere (including a little bit in the ocean where you swim) and the amount of stray dogs in very bad condition, it was heartbreaking. If you are traveling to Colombia, I reccomend you add Taganga to your list!